The Women’s Day in Warsaw Multicultural Centre was prepared by our close friends from Our Choice Foundation i Adulis Foundation. The Ukrainian Women’s Club from Our Choice Foundation prepared a presentation of Ukrainian adornments and demonstrated the process of their production. The adornments were of various kinds, including beads and necklaces, and were prepared by women, men and children, young and older people. Adulis Foundation prepared a presentation on Eritrean women. 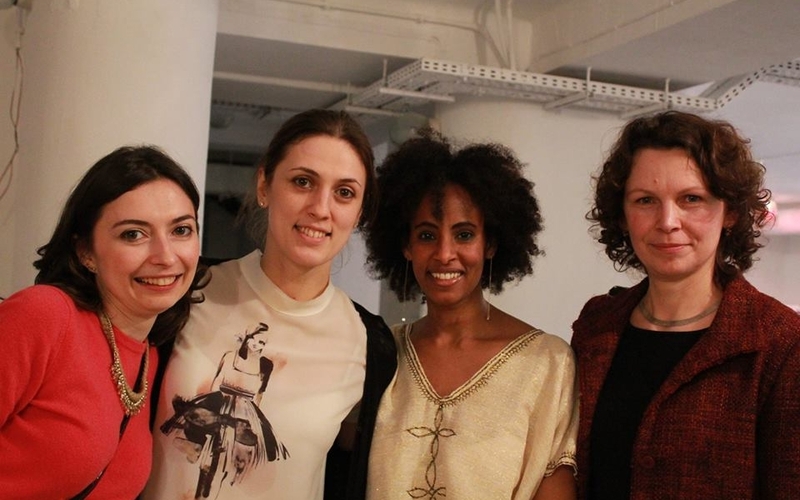 Senait Cieplińska, the president of the foundation and a Multicultural Incubator member in the Foundation for Somalia, told us about the traditional garments of Eritrean women, and presented original clothes which the women usually make by hand, adorning them richly. But mostly she talked about the gradual change of a woman’s position in Eritrea, starting with the beginning of women’s rights fight up to the current situation of women in Eritrea. Adulis Foundation also prepared an Eritrean repast: popular ingera bread with two types of dips: zigni (with beef) and brsyn (with lentil). Next, misses Haregu and Shwaynesh – both from Eritrea and living in Warsaw – invited the guests to participate in the preparation of traditional Eritrean aromatic coffee, which is traditionally served with popcorn. “That was the ending of the official part of our meeting. After that we were available to answer our guests’ questions in an amicable atmosphere. My children were also helping to explain some aspects of Eritrean culture: Joasia, my ten year old daughter, demonstrated for example how to properly eat ingera with one’s hands”, says Senait Cieplińska, president of Adulis Foundation.